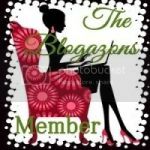 I have wanted to write a travel and food post for a while but was just a bit lazy. This weekend getaway was from this mid January with Mr. L. We planned to go somewhere close to Bay Area as a little escape for the weekend so Petaluma was a great option. Petaluma is around 30 miles north of San Francisco if you are planning to visit this place. It is also one of California's oldest cities founded around 1858 when the gold rush happened. 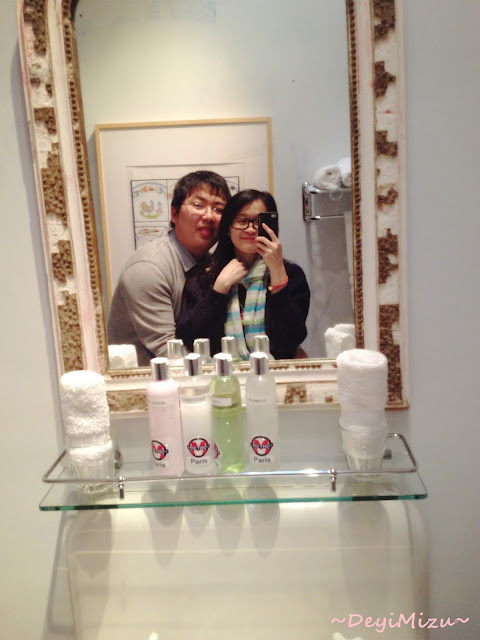 We stayed at Metro Hotel because Mr. L bought a deal from LivingSocial or Groupon. 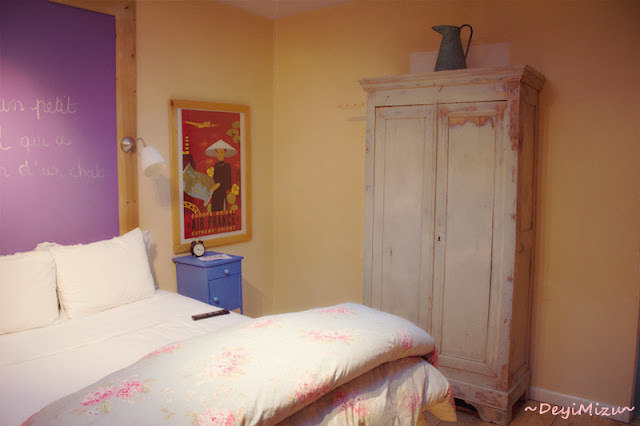 Metro Hotel is more of a French style hotel in which guest can experience what it is to live in France. 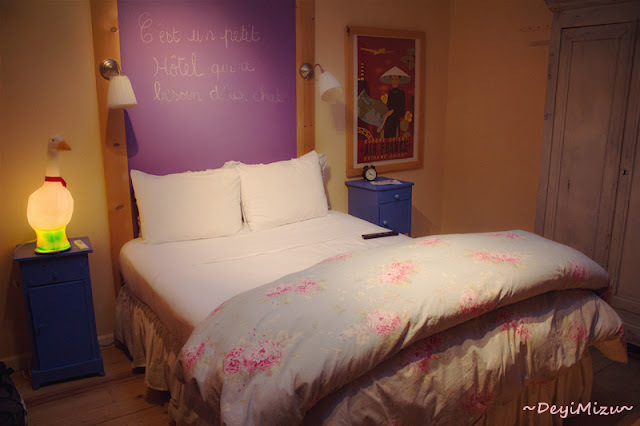 This is more a B&B but even cuter! 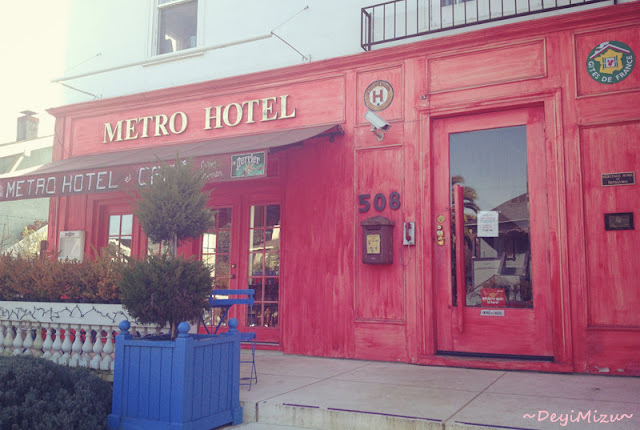 Want to see more of Metro Hotel and yummy foods? 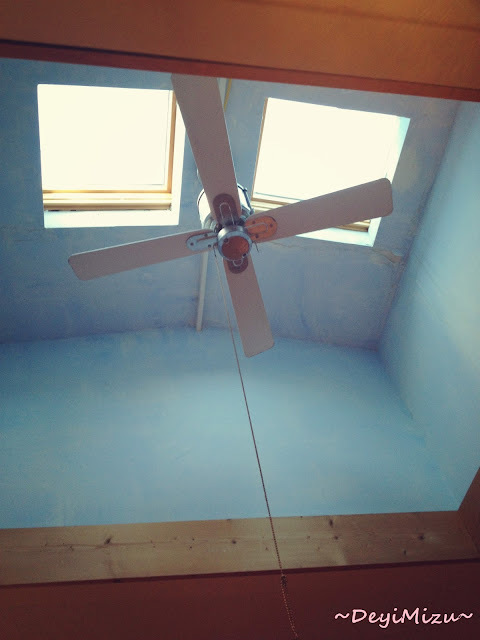 Look at this cute room! I especially love the blanket because it is so warm and light! We can see the sky from our bed but too bad we can't see stars due to the light of the street. 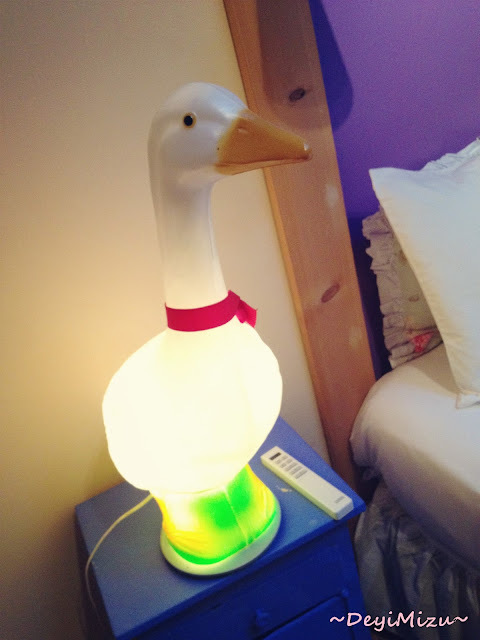 Okay, this goose or duck light scared the heck out of me! Whenever I turn my back against this thing, I always have this feeling it is staring at me! Ha-ha! 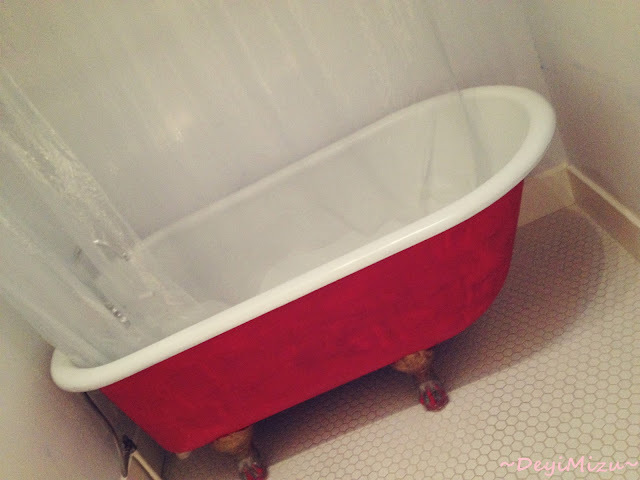 The bath tub is so cute, don't you think so? We are cam-whoring! Don't mind us please. 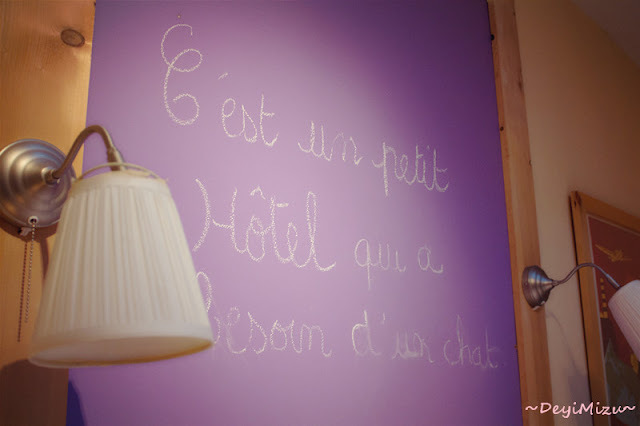 I don't know French but I am guessing this mean something like Welcome to the Hotel? 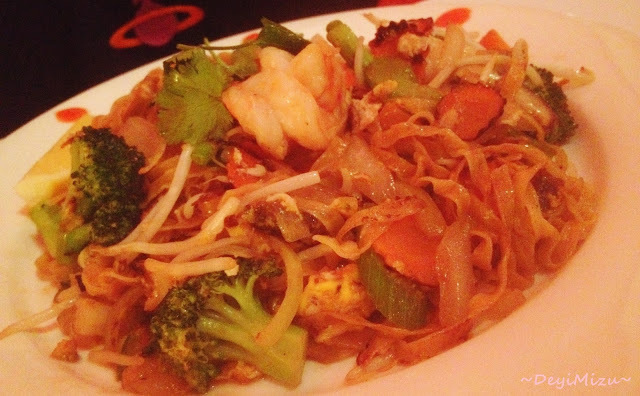 That Saturday evening, we ate at Sea Modern Thai Cuisine, which is right next to the hotel. I haven't had Thai food for a while since my last trip to Ukiah with him, which is 2 years ago if I remember correctly. 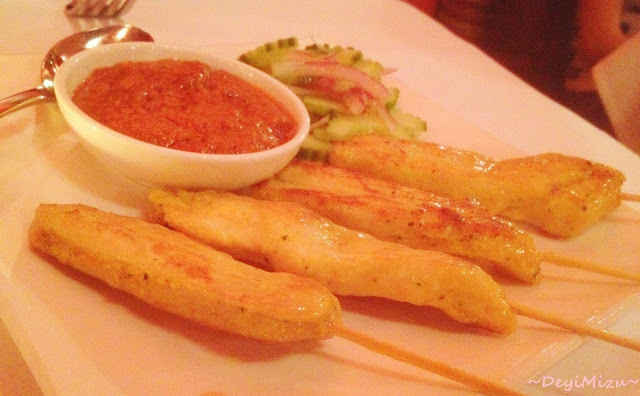 For appetizer, we started with a chicken satay. Chicken is moist and combine with the peanut sauce, it taste like heaven! I think this is the Somen Noodle but I am not sure since it was months ago. I remember the noodle was not bad at all. I love that it doesn't have a rich taste because I prefer food on the lighter side. Everything blend in together as one so one does not overpower the others. 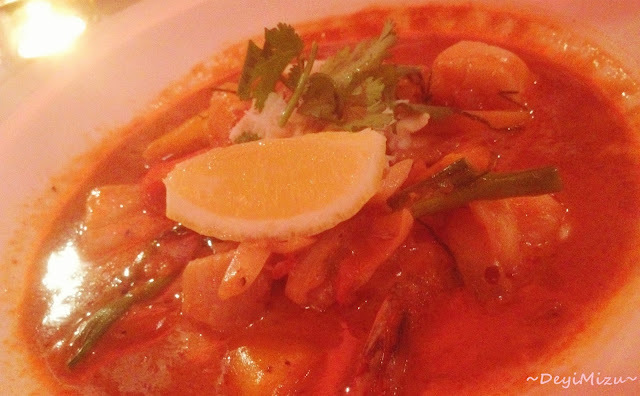 Mr. L ordered a yellow seafood curry but I am not sure. The curry is on a sweeter side so it's not as spicy as the other curry. Last but not least is dessert of course! As you guys all know I love love love desserts! We got the chocolate lava cake with vanilla ice cream! Omg, it really was heaven to me after a meal! 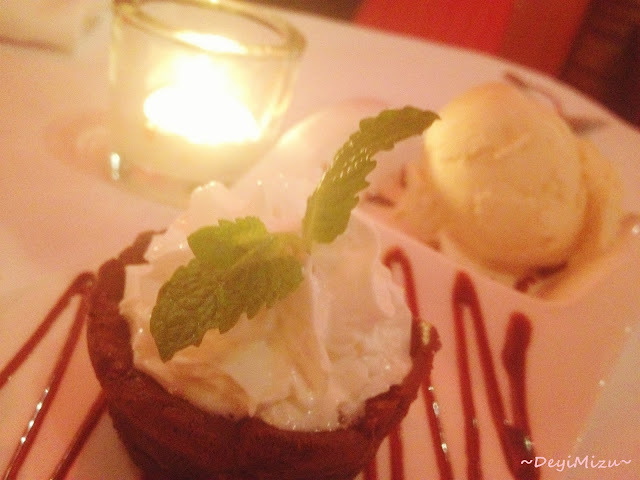 The richness of the chocolate with the cold vanilla ice cream just melt in my mouth! The next day, we took a stroll on the historic downtown Petaluma. 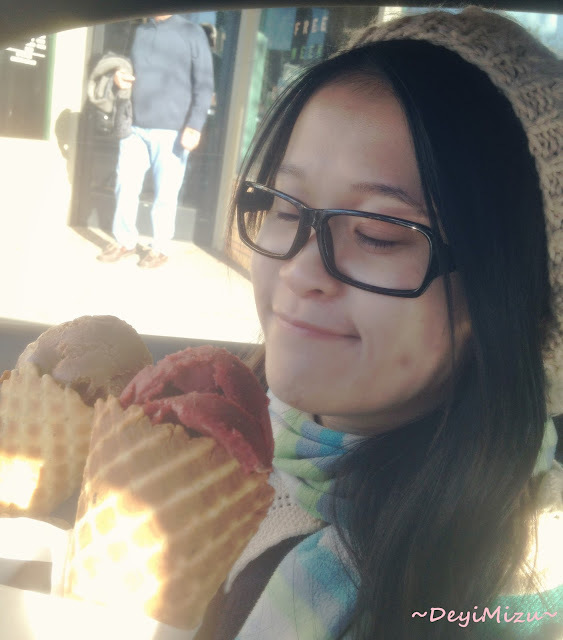 It was a nice relaxing Sunday afternoon and of course it's ice cream time! 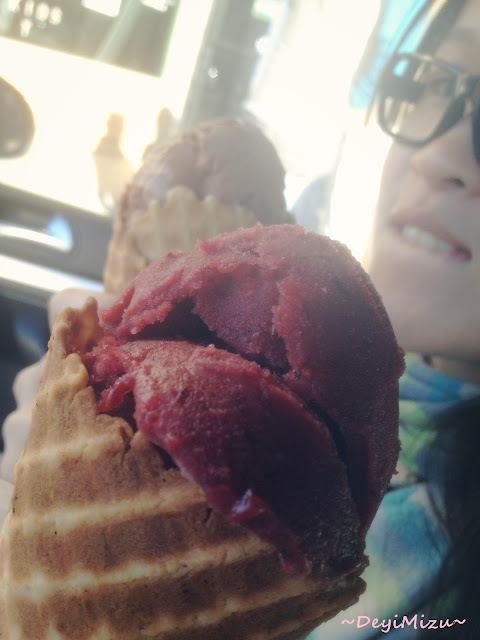 Lala's Creamery had some great reviews on Yelp so we decided to give it a try! It is an old-fashioned ice cream parlor and soda fountain! Wow, we aren't disappointed at all! 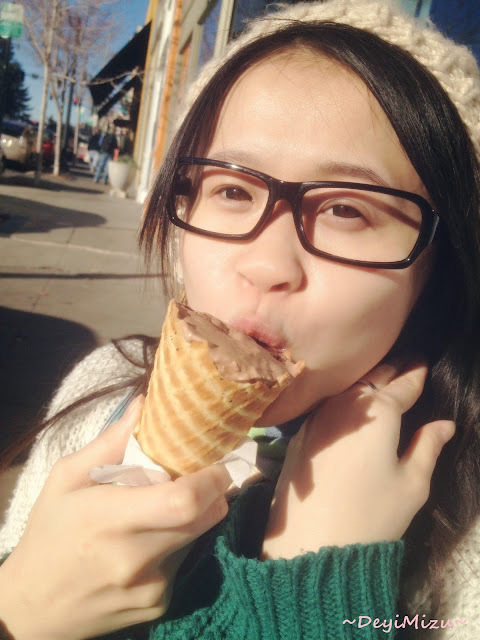 The chocolate ice cream is rich but not overly sweet, which I super love! I never tell you girls that my favorite ice cream flavor is chocolate! I totally forgot what was the flavor that Mr. L got. I am guessing passion fruit sorbet? Ha-ha! 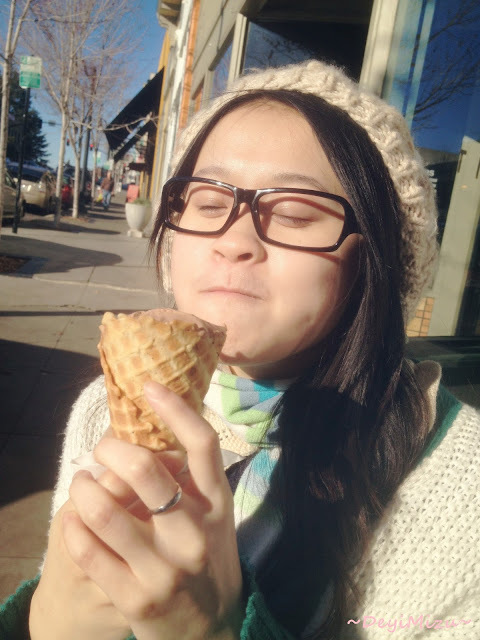 We sat outside the ice cream parlor, enjoyed ice cream on a nice sunny afternoon. People is busy everyday and forget to take some time off for themselves to just relax. It is simple but it is because of these simple things that can easily satisfy and brighten up our day! Forgot to mention that there are tons of antique shop in this city! He actually love shopping at antique shops that sells random things because you don't know what you treasures will you come across. This was a nice weekend getaway in Petaluma and we sure will be back for the ice cream, food and antiques! What are some of your favorite weekend getaway places?